If you aren't paying attention you could confuse the Olentangy Orange High School Marching Pioneers for a college band in the B1G or SEC ranks based on their marching style, size and power. Imagine Ohio State, Tennessee and Ohio University all rolled into one band. 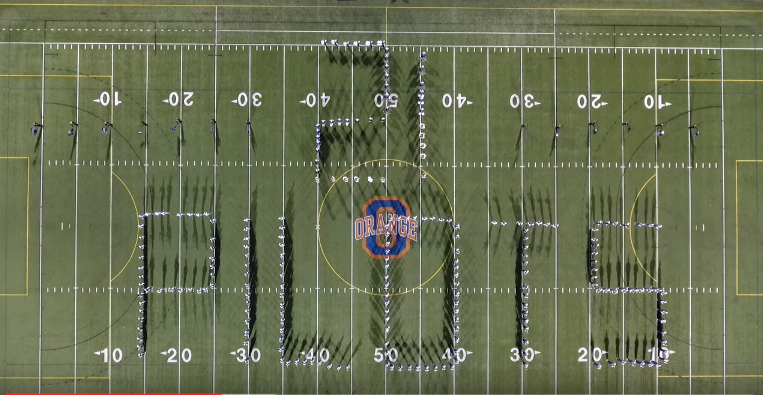 This high school show band hits all the right notes in their 2016 show featuring the music of the band 21 Pilots. Watch as their show dazzles the crowd and gives us an aerial perspective that really helps to see some of the intricate marching formations they pull off including multiple block waves. These guys can also break it down with their dance moves. This show has it all. Share so all fans can enjoy! LIKE us on facebook and follow us on twitter @hsmarching so you never miss a show!